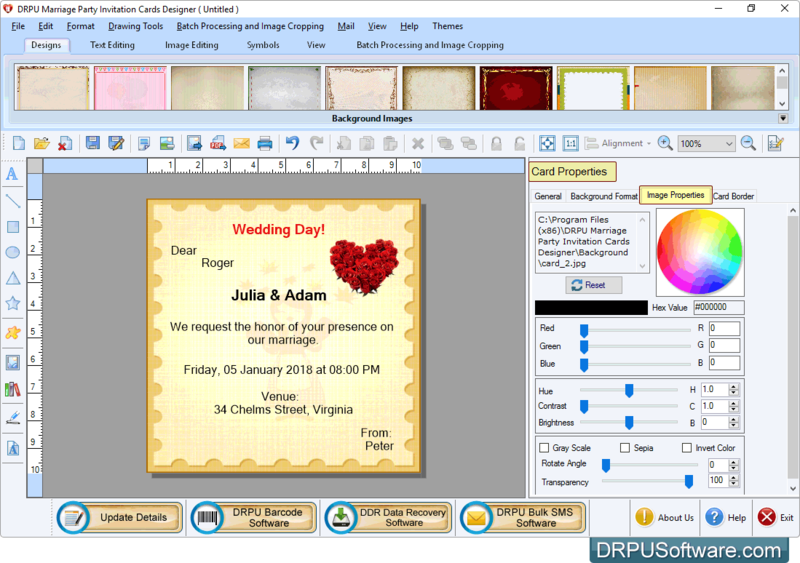 DRPU free wedding invitation maker helps you easily create your own custom and unique wedding invites in minutes. With plenty of free card designs, it's easy and fun to create marriage invitation cards to invite your friends and family. 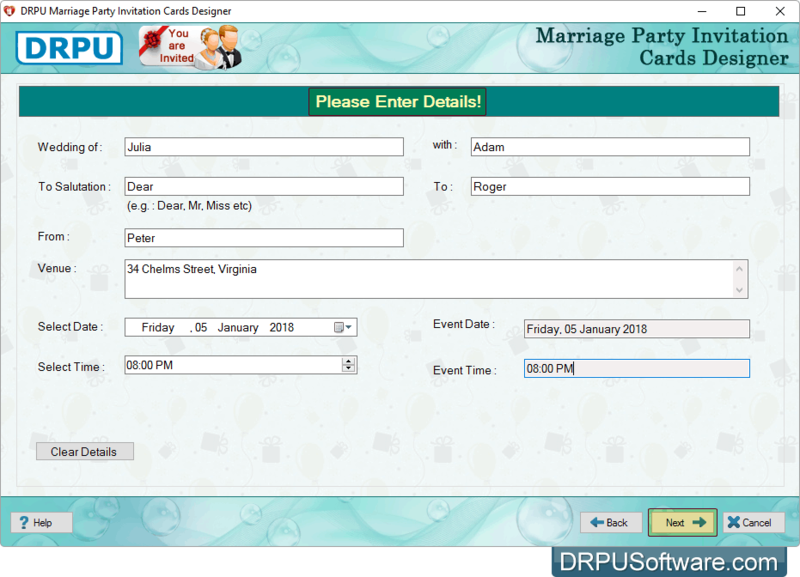 Software provide facility to create multiple marriage invitation cards at a time with different text and images. 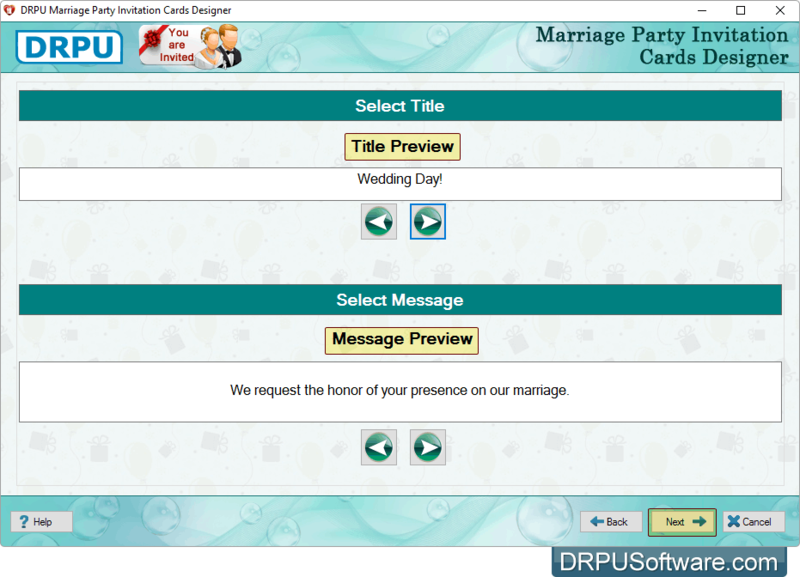 Software is having email setting feature to send designed wedding card to the specified email ID. After designing , You can also print designed wedding invitation card using advanced print settings. To Design Invitation Card for Any Other Party or Occasion. Click Here "All in One Party Invitation Card Maker"
You can design Marriage Party Invitation Card either by choosing 'Start by using Wizard" option or "Open with existing Design Log" option. 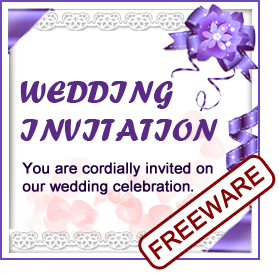 Send designed Marriage Party Invitation Card to the specified email ID using Email setting option. Provides option to save designed birthday invitation card in different file formats including JPEG, TIFF, Bitmap, PNG, GIF and PDF. You can easily update birthday card details using 'Update Details' button. You can use various image designing tools including Line, Text, Shape Type, rectangle, rounded rectangle, ellipse and Insert image for designing Birthday Cards. If you want to crop your images as per your requirements, you can use Image Cropping Tool option. 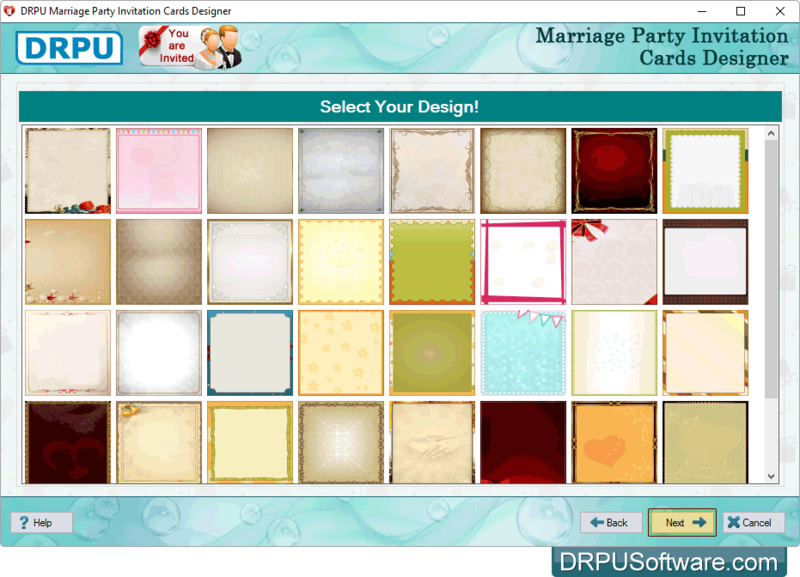 You can easily export designed Marriage Party Invitation Card as pdf and as image. Advanced print setting facility to print designed wedding invitation cards. Select any one option either 'Start by using Wizard' or 'Open with existing Design Log'. Select your design to create marriage party invitation card. Select any one party theme as per your occasion. 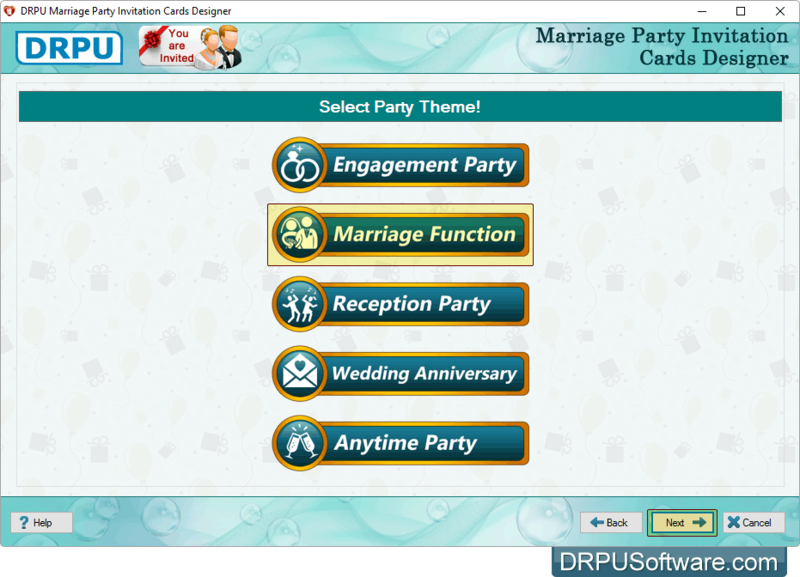 Select title and message for your marriage invitation card. 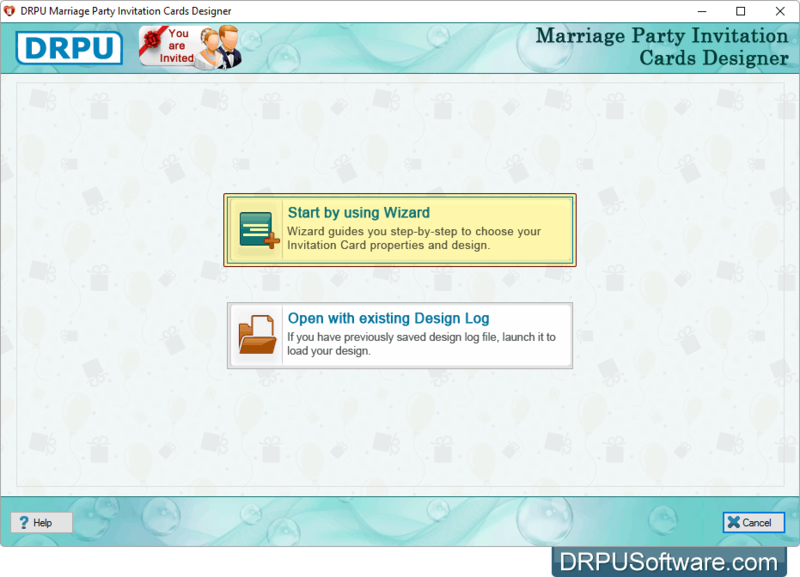 Enter Details of marriage party invitation card and click 'Next' button. If you want to do some modification in your card, You can use Card Properties. 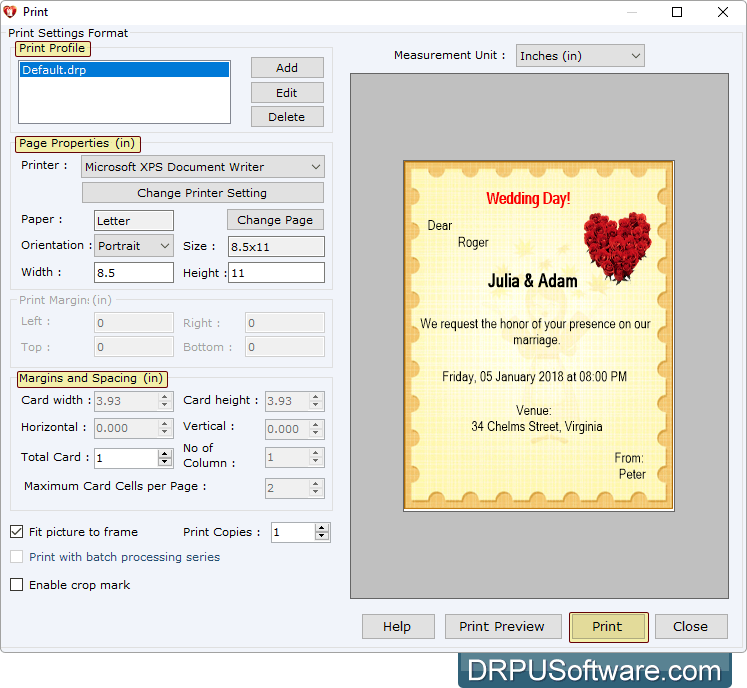 Set all print settings and click on 'Print' button to print your designed wedding invitation card.